In lieu of flowers memorial donations may be made to High Hopes or to St. Paul Lutheran Church and left at the funeral home. 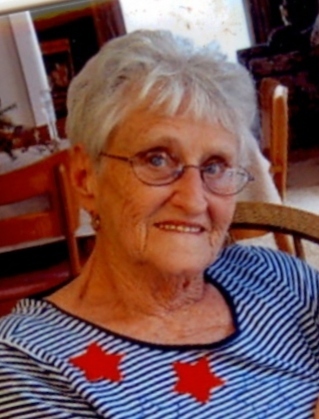 Barbara Mae (Danneker) Bledsoe Pentecost, age 79, of El Dorado Springs, Missouri, passed away in her home on January 19, 2013, after a long battle with cancer. She was born on February 1, 1933, in Kansas City, Missouri, to Ed and Eda Danneker. She was preceeded in death by her parents, her younger sister Thelma Jean and her first husband Dennis Bledsoe. She is survived by her husband John of the home and her children: Suzanne Boggs of Edmond, OK; Scott Pentecost of around the world; Kelley and Bob McFarland of Waynesville, MO; step daughter Kim Pentecost of South Carolina; and Bob Stacy of Ashland, MO. She was the proud grandmother to seven grandchildren. Barbara was a wonderful homemaker and a GREAT mother. She also worked as the bookkeeper with the Rural Water District for 27 years. Barbara was a long time member of the Progress Club. She was an active participant with the High Hopes cancer support group and the Eagle’s social club. After raising their children and retiring, Barb and John had many adventures traveling with their RV from coast to coast. They made lots of friends along the way. Funeral services for Barbara Pentecost will be held on Friday, January 25, 2013, at 1:00 p.m. at Bland-Hackleman Funeral Home with Pastor Chris Deines officiating and Bob McFarland providing music. The family will receive friends on Thursday evening from 6-7 p.m. at Bland-Hackleman Funeral Home. Burial will be in the El Dorado Springs City Cemetery under the direction of Bland-Hackleman Funeral Home. Pallbearers are: Bob Stacy, Kyle Boggs, Dennis Garrett, Ed Morlan, Jim Simrell, and Gene Westhoven. Honorary pallbearers are Matthew McFarland and Aidan McFarland.